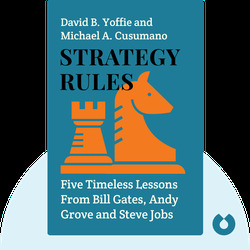 Strategy Rules (2015) explores the business strategies and leadership styles of three hyper-successful tech CEOs: Bill Gates of Microsoft, Andy Grove of Intel and Steve Jobs of Apple. These blinks break down the strategic expertise necessary to build a competitive business and ensure long-term success. David B. Yoffie, in addition to being the longest serving member of the Intel board, teaches business administration at Harvard Business School. He is a prolific writer and the author or editor of nine books, including the bestselling Competing on Internet Time (co-written with Cusumano). 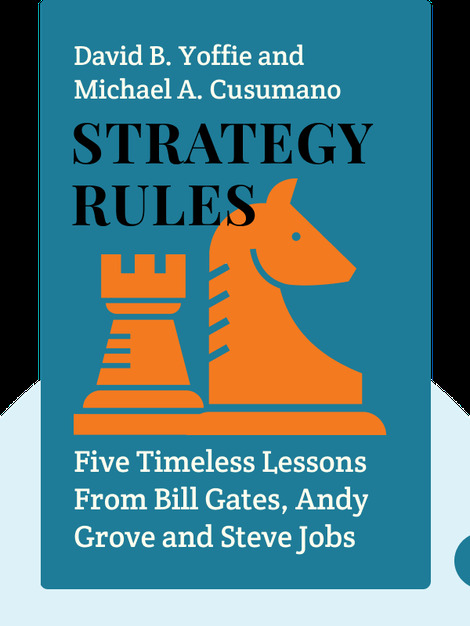 Michael A. Cusumano has been writing about the software industry since 1985. He is professor of management at MIT and the author or editor of 12 books, including the classic Microsoft Secrets.